Dubai-based Al Habtoor Group will open the Westin Dubai, its third hotel, in the Dh11 billion Al Haboor City on Sheikh Zayed Road in September, company Chief Executive Officer told Emirates 24|7. “The 1004-room Westin Dubai will open in September, followed by the opening of The St. Regis hotel in Dubailand in December,” Mohammed Al Habtoor said after opening the new Metropolitan Catering Services facility in Jebel Ali Free Zone. The 356-key W Dubai and 234-key St. Regis Hotel are already operational in the Al Habtoor City. 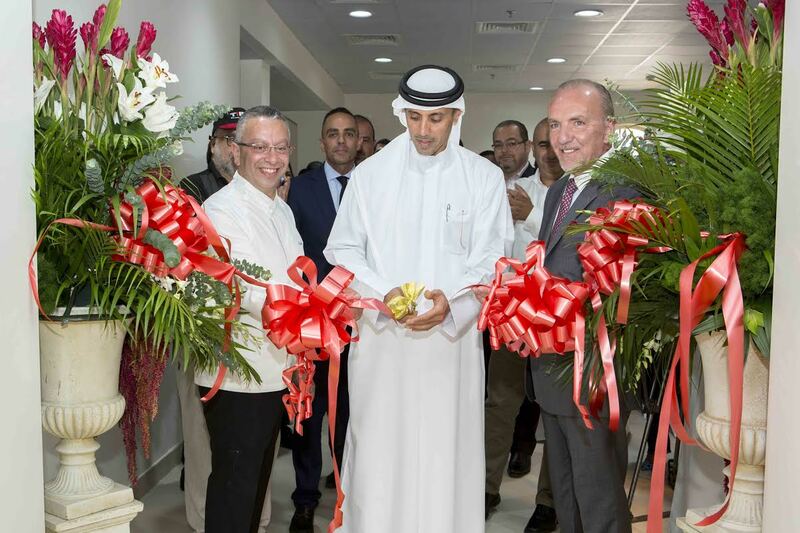 Mohammed Al Habtoor, Vice-Chairman & CEO, Al Habtoor Group inaugurating the new Metropolitan Catering facility. The City, which covers an area of ​​10 million square feet, will have more than 40 restaurants and entertainment destinations in the heart of Dubai. Speaking about the new catering facility, Al Habtoor said that the group's operations in the catering sector began in 1992, but the focus was more on hotels and other investments now. The facility has can increase production capacity to a maximum 55,000 meals a deal. Chef Paul Hage, Group Culinary Director, Habtoor Hospitality, told Emirates 24|7 that as of now, Metropolitan Catering cooks 1,400kg of chicken, 250kg of mutton, 780kg of rice and 220kg of fish every day.